”I have social disease, I have to go out every night. If I stay home one nigtht spreading rumors to my dogs. Once I stayed home for a week and my dogs had a nervous breakdown. I love going out every night. It’s so exciting. I paint until the last minute and then go home for my first dinner of the night. I always have something simple and nutritious, because I don’t trust food anywhere but home. My favorite dinner is turkey and mashed potatoes-it looks clean. I usually go out with one kid from my office-the Factory-like Fred Hugues, my business manager, or Bob Colacello, the editor of my magazine Interview. Employees make the best dates. You don’t have to pick them up and they’re always tax-deductible. I also like the feeling of having several of having several of my employees all around a party-it’s like being at the office. You really have Social Disease when you make all play work. The only reason to play hard is to work hard, not the other way around like most people think. That’s why I take my tape recorder everywhere I can. I also take my camera everywhere. Having a few rolls of film to develop gives me a good reason to get up in the morning. I love the new, small, automatic-focus 35mm cameras like Minox and Konica. That’s what I used for the photos in this book. I think anybody can take a good picture. My idea of a good picture is one that’s in focus and a famous person doing something unfamous. It’s being in the right place at the wrong time. That’s why my favorite photographer is Ron Galella. But back to m,y nightlife. After I’ve filled my plastic shopping bag from Brownie’s Health Food Shop with TDK ninety-minutes tapes, Kodak, TX-36 black-and-white film, and Duracell Alkaline AA batteries, I run out to my first party of the evening. I usually catch the tail end of a cocktail party, then go to a couple of dinners, stop off at Le Club, Regine’s, or Xenon, and end up at Studio 54. Or I go to a Soho opening, a Broadway opening, a boutique opening, a restaurant opening-when it opens I go. When it closes, I go too. I just go. That’s Social Disease. The symptoms of Social Disease: You want to go out every night because you’re afraid if you stay home you might miss something. You choose your friends according to whether or not they have a limousine. You prefer exhilaration to conversation unless the subject is gossip. You judge a party by how many celebrities are there-if they serve caviar they don’t have any celebrities. When you wake up in the morning, the first thing you do is read the society columns. If your name is actually mentioned your day is made. Publicity is the ultimate symptom of Social Disease. But you know it’s fatal when you don’t want to get rid of it. You couldn’t anyway. How do you catch Social Disease? By kissing someone on both cheeks. Kissing people on both cheeks started out in France, like most diseases. It’s the society thing to do. Socialites never shakes hands. It hurts too much. People say there’s no such thing as Society anymore. I think they’re wrong. There’s a new kind of Society. Now it doesn’t matter if you came over on the Mayflower, so long as you can get in Studio 54. Anyone rich, powerful, beautiful, or famous can get into Society. If you’re a few of those things you can really get to the top. 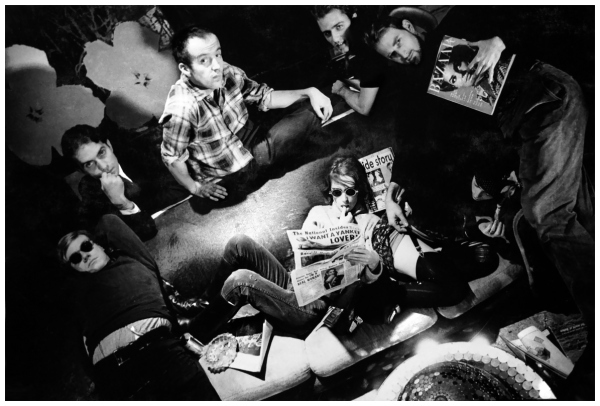 Andy and some of the Factory regulars, photo by Dennis Hopper, 1963. 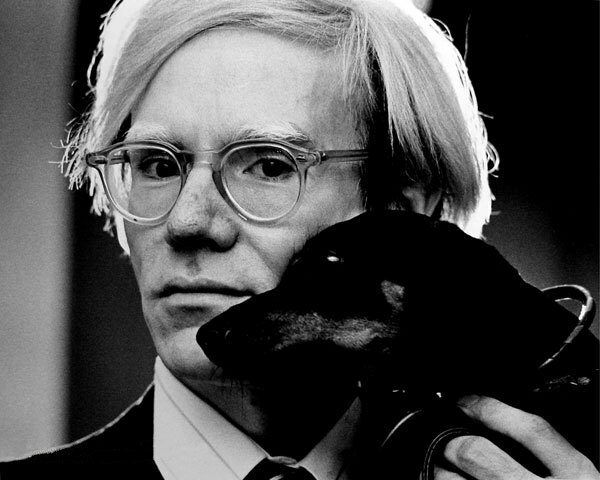 Great article Warhol was a fasinating person to say the least!